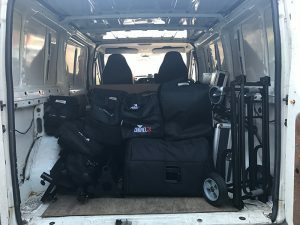 If your looking for more than just a standard mobile disco, if your event is important and you want a wow factor, something more than just the norm, contact me today and let me explain what I can offer to make the disco part of your event something everyone talks about for all the right reasons. 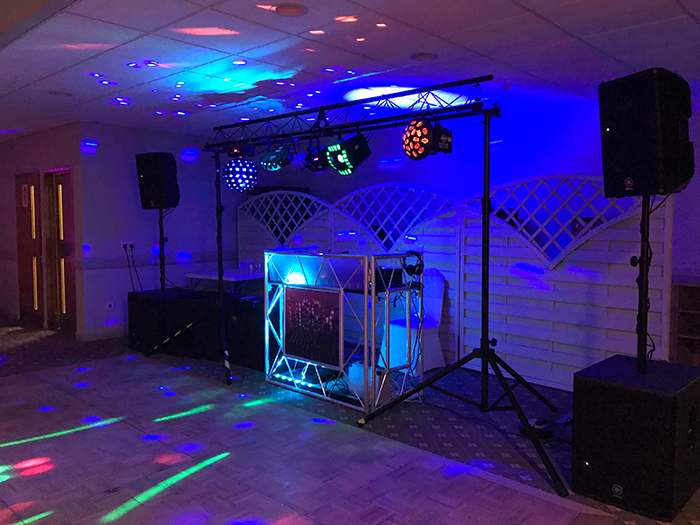 No event too small or too big, the smallest wedding I have DJed at has under 20 guests and the largest over 400, I mostly get booked for Weddings, Engagement Parties, Significant Birthdays, Corporate Events and Christmas Parties! New! 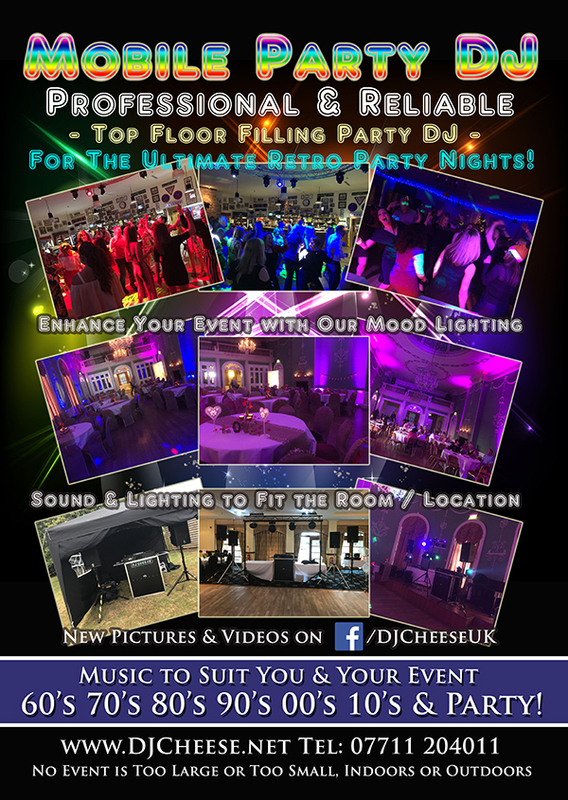 Check out my recent events on my new Wedding DJ and Mobile DJ blog –Mobile DJ Blog here! and my Wedding DJ Blog here! Also I have a reviews page DJ Review Page here! 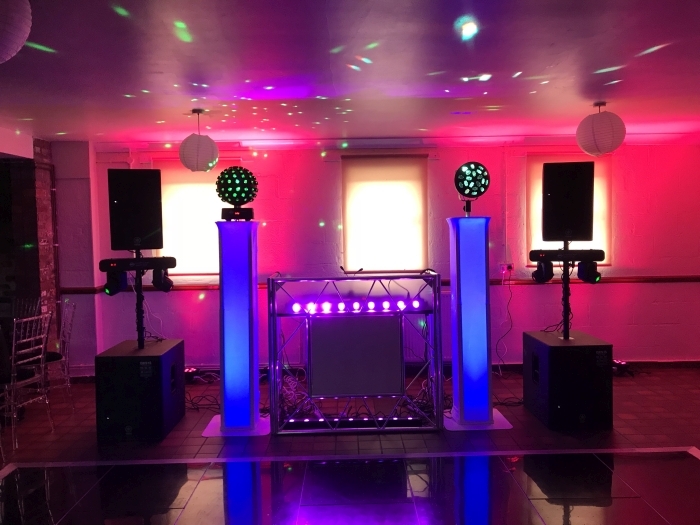 No matter what type, location or style of event you are after I am sure I can provide the perfect DJ Service for that event. Based in Shrewsbury but covering all of the UK (Shropshire, Areas of Mid Wales, Cheshire, Herefordshire and the West Midlands as standard). I also happily offer my services at your chosen location be it your yacht in the med or a castle in Scotland, travel and equipment transportation is not an issue! 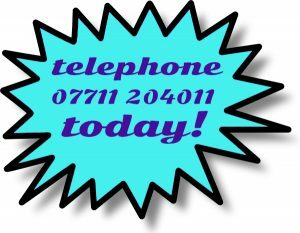 I am happy to provide a free no obligation quotation for your event. Call or text me today on 07711204011 to run through your exacting requiments. 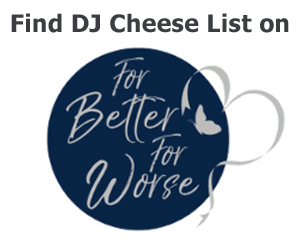 I’m a professional wedding DJ and party DJ specialising in playing dance floor filler tunes, that involves me reading the dancefloor / room and ensuring I select the correct tunes at the right time. Lets face it if you go to a restaurant and although the food could be the most amazing food available, if they served you ice cream to start, Soup in the middle and a steak for desert the experience would not be anywhere near as good as it could have been! That is the same with music, it you stick a playlist on or the DJ can’t read the room then your party won’t be the party you want it to be! Smart, presentable, reliable and always bang on with tune selection. 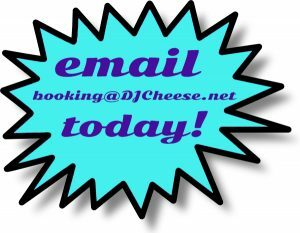 DJ Cheese – the perfect DJ for your Wedding or Event! Should you be as passionate about music as I am then check out my Sound and Music page, as this provides several room layout examples and explains why I do certain things, why my attention to detail makes a difference and why my full setup takes over 2 hours to install, why my music is 320kbps and a few other things you might not of normally considered. No matter what music you love I can deliver from 60s, 70s, 80s, 90s, 00s, 10s, Indie, Rock, Britpop, House, Piano House, Classic House, EDM, Classic Ibiza, 90s Dance, Dance, R&B, RAP, Disco, Indie, Chart, Cheese, Northern Soul, Motown or General Party, you decide the style and I can put the perfect combination of tunes together making your event a special memorable one. I can even use a pre supplied playlist if that’s what you want or we can work together to create your perfect playlist based upon your favourite music and my experience knowing what people dance to! 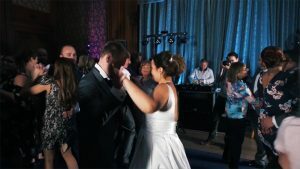 As standard I use a pair of high end Yamaha DXR12 speakers complimented with a pair of Yamaha DXS15 Subs when needed (Perfect for weddings of 150 plus people), but depending on the room I can add additional speakers and subs when needed, this is often needed once the event gets to be above 300 people or if you want a balanced sound around a room for background music or speeches. The quality of the sound is really important to me and thats why all my music is 320kbps no Youtube poor quality downloads here! 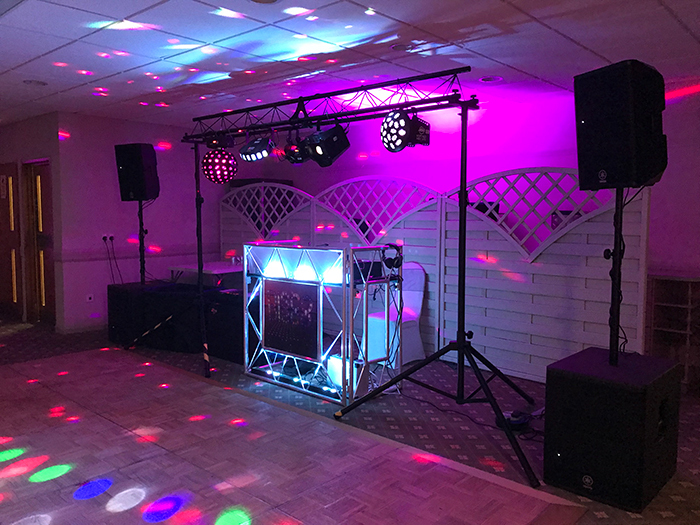 Lighting is also an important factor for any dance floor and again depending on the size of the room I can provide a full lighting rig with moving heads but as standard I use a Chauvet Gigbar with a Chauvet 4play lighting system as this provides more than enough lighting for most function rooms. This can also be complimented with mood lighting around the room, should you wish to see a video or some pictures of any of these setups please let me know. These videos shows some examples of the lighting and sound options available. Add that something special to your event, maybe a confetti canon – ask for details! Unlike many DJ’s these days I do not use a laptop instead I use a Pioneer XDJ RX DJ Controller that allows me to select and mix the tunes live. 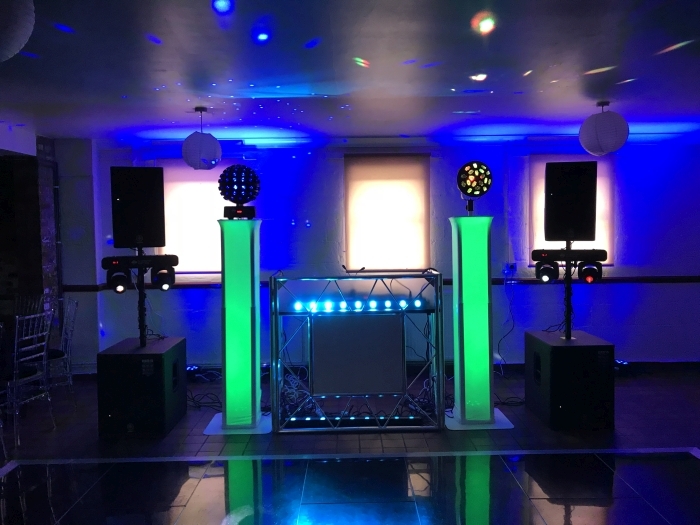 You want a DJ who can read a dance floor and make a party happen, you are not paying someone to click a mouse on a laptop using some DJ software and a streaming service – you can probably do that yourself or at least one of your friends can! 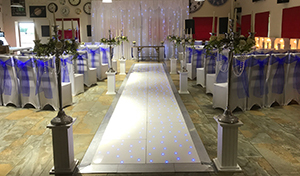 Check out our video’s page for some previous event videos, you can also visit our Facebook page and you will find even more on their! 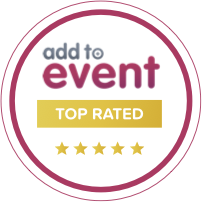 Most events require access at least a couple of hours before the start of the event, this may increase depending upon booking setup requirements. If this is an issue, please notify us at least 14 days prior to the event. Should there also be limited access to the location, parking, steps or a distance over 10m from parking to the location please also inform us at the time of booking. 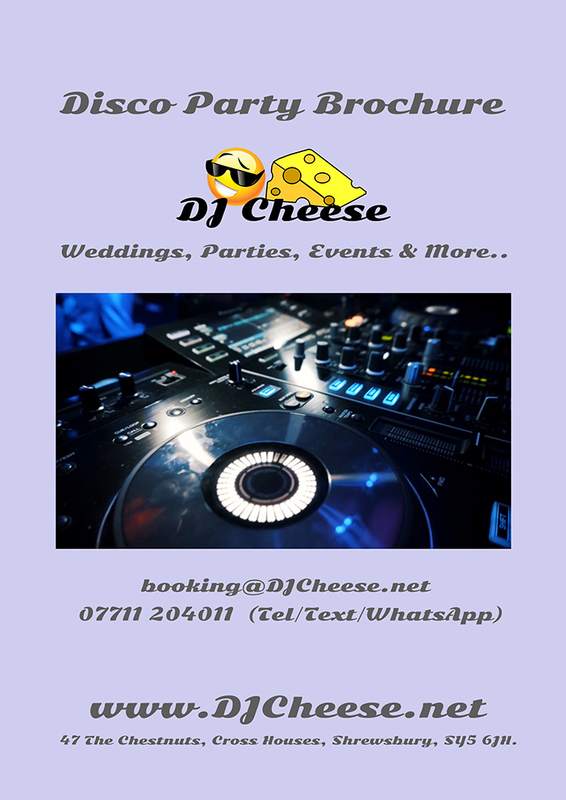 We believe it is very important that our clients know that we are fully insured as many are not, this might be an important consideration for events such as weddings where a no show by a DJ could affect the night dramatically, I am pleased to say I have an 100% attendance record. A copy of the insurance certificate is available upon request. In accordance with the Electricity at Work Regulations 1989 all equipment is maintained in a safe condition and is regally checked for wear and tear to prevent any danger. All equipment and cabling is visually inspected prior to each event. PAT testing is completed in accordance with HSE guidelines. I am able to provide a copy of my DBS Certificate for all bookings. 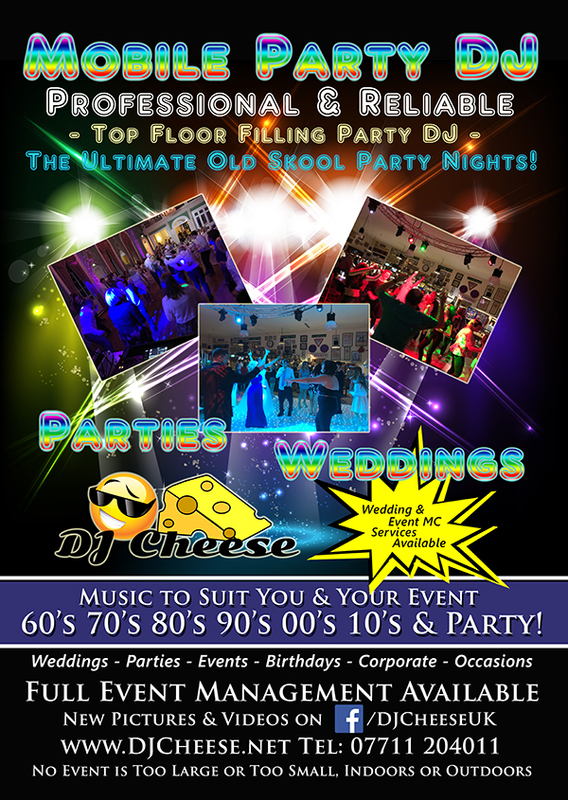 If you looking at booking a School Prom, Childrens Party (Under 18’s) then its a must! Thanks for visiting our site and we look forward to seeing you on the dance floor soon!